Sean Yseult Casket, 4-string bass guitar from Schecter in the Artist series. Sean Yseult, bass player for White Zombie, Star & Dagger, gets a signature casket-shaped Schecter bass. 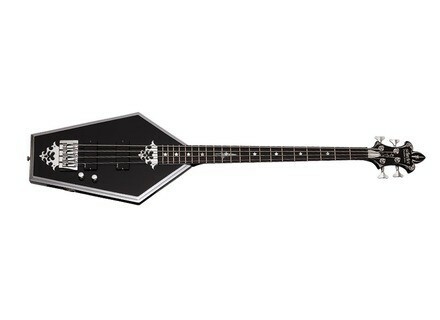 The Signature Sean Yseult Casket bass is available as a right-handed version for $1069 or left-handed for $1119. Warwick WA 600 Giveaway Starting November 1st 2012 Warwick & Framus will give away a Warwick WA 600 bass amp head in a sweepstakes on the company’s Facebook page. G&L Black Ice Series G&L introduces its new Black Ice series of 5 new models. Sandberg Electra TT4 Sandberg has announced their latest model, the Electra TT4.